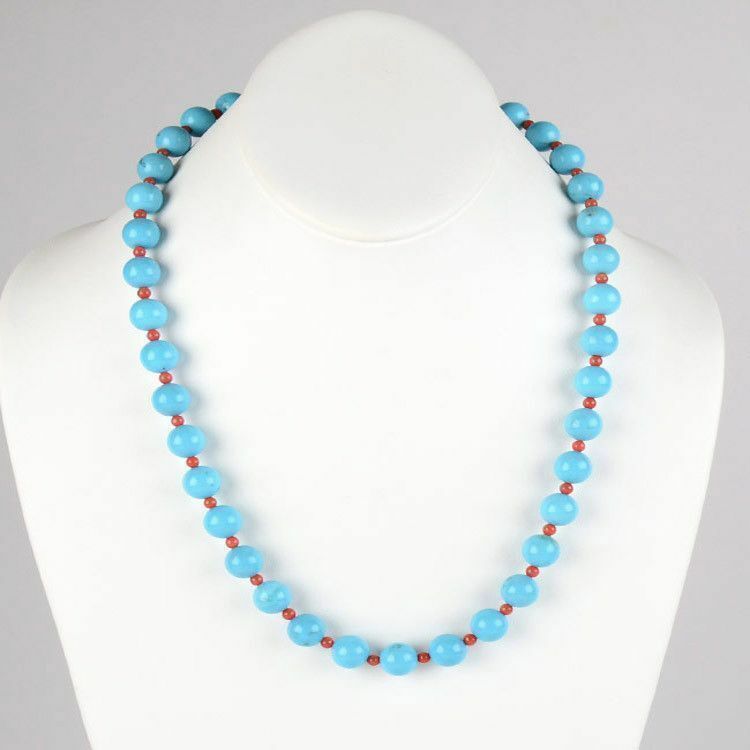 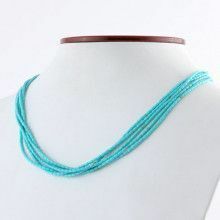 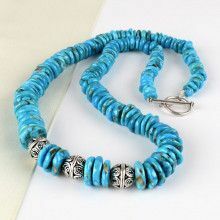 This 22" necklace features alternating beads of 100% natural blue turquoise and authentic red coral. 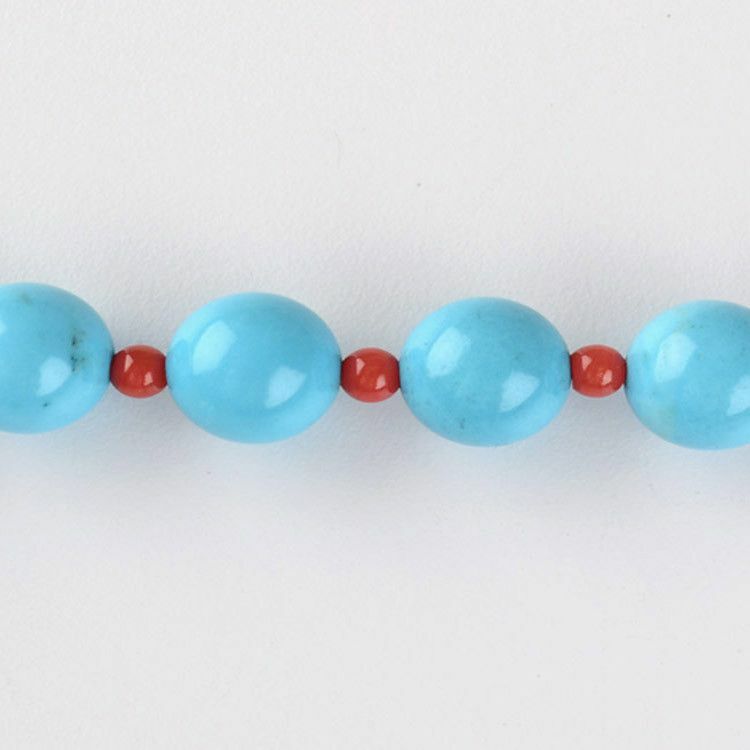 The two different colored gemstones look absolutely lovely together! 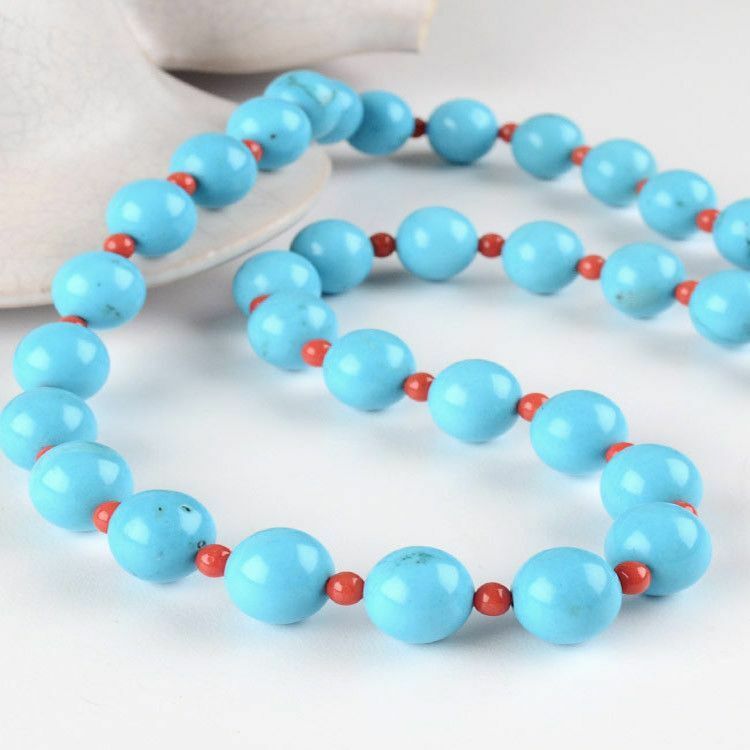 The turquoise beads are about 3/8" in diameter, while the red coral is about 1/8" in diameter. 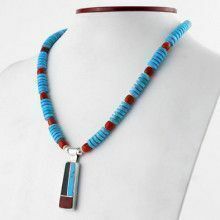 A silver lobster claw clasp completes this bright blue and red necklace.